This is the title of the book that Affinity Foundation has recently published with Plataforma Editorial editions. The author, Dieter Krowatschek, believes that pets can be the best allies of parents and educators in order to help children and teenagers learn to interact with others. Dieter Krowatschek, child and school psychologist in Marburg (Germany), wrote "Children need the company of pets", a book aimed at parents and educators. Supported by his professional experience, Krowatschek wanted to share with them his conclusions on the importance of the role that pets may have in children’s development. 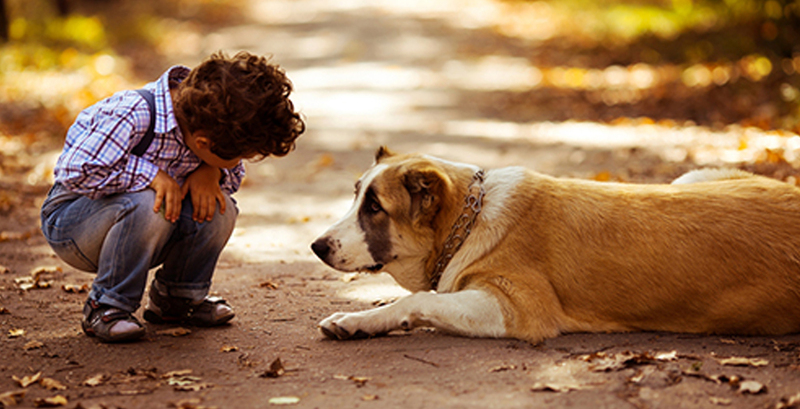 Children love playing with pets, especially with dogs, and they get to establish long and positive relationships with them based on affection, which is of great help in nurturing their relations with humans. Children and pets share many things: – simplicity, willingness to play and to feel protected and unconditional love, amongst other things. – This helps them to establish strong affective ties. Furthermore, pets have no problem in adapting to families with children; and as they are always attracted by puppies, even by human "puppies", the relationship between them will certainly succeed. According to the aforementioned author, the ability of pets to understand children and their emotional stages is amazing; children and their pets end up becoming the best friends ever. «I've been treating children with attentional and behavioural problems for years. Many of them are prone to show aggressive behaviours. They often present psychological disorders, they lose their temper easily and they make my life –and also their own lives– difficult. I've been taking my female dog Fly, a Border Collie, to the island for some time now. She has shown me irrefutably the relevance of animals for the social and emotional development of children», says Krowatschek in a passage of his book. The timeliness of this book in this moment of our history is undeniable. Nowadays, at the dawn of the twenty-first century, parents must spend long hours at the workplace and they cannot enjoy the company of their children the way they would like to. In this regard, sometimes pets are a living and warm presence that help children and teenagers feel less lonely when their parents are not at home. Besides, according to Krowatschek, pets help to counteract the influence of solitary entertainment, such as video games or computers, with which children run the risk of isolating themselves in excess. As the author of "Children need the company of pets" says: «Pets help to develop responsibility and autonomy, making their behaviour more balanced, sensitive, happy, courteous and loving. It is impossible to ignore such a positive influence».